Over the years, the thermite reaction has been used for welding railroad rails, in incendiary bombs, and to ignite solid-fuel rocket motors. The reaction is:Fe2O3(s) + 2Al(s) -> 2Fe(l) + Al2O3(s)What masses of iron(III) oxide and aluminum must be used to produce 15.0 g iron? What is the maximum mass of aluminum oxide that could be produced? How much aluminum oxide would be produced if the yield is 93%? Elixirs such as Alka-Seltzer use the reaction of sodium bicarbonate with citric acid in aqueous solution to produce a fizz. Balance the following reaction. What mass of C6H8O7 should be used for every 1.0×102 mg of NaHCO3? What mass of CO2(g) could be produced by this mixture? A confiscated white substance, suspected of being cocaine, was purified by a forensic chemist and subjected to elemental analysis. Combustion of a 50.86-mg sample yielded 150.0 mg CO2 and 46.05 mg H2O. 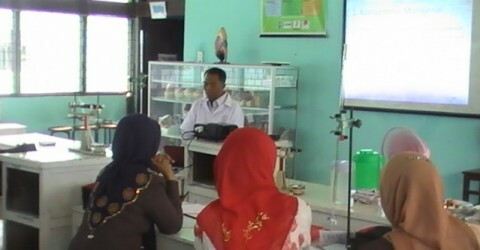 Analysis for nitrogen showed that the compound contained 9.39% N by mass. The formula of cocaine is C17H21NO4. Can the forensic chemist conclude that the suspected compound is cocaine? For the following reactions: Name the reactants and products, Balance the equation, and calculate the molecular weight of the reactants and products. Starting with 2.0 grams of each reactant, identify the limiting reagent and determine the mass of the first product. Write a balanced equation for the following reactions. Aluminum metal is oxidized by oxygen (from the air) to form aluminum oxide. Sodium oxide reacts with carbon dioxide to form sodium carbonate. Calcium metal reacts with water to form calcium hydroxide and hydrogen gas. Potassium nitrate decomposes to form potassium nitrite and oxygen. Barium metal reacts with Iron (III) sulfate to produce barium sulfate and iron metal. Barium chloride reacts with sodium sulfate to produce barium sulfate and sodium chloride. Bismuth (III) oxide and zinc metal react to produce zinc (II) oxide and bismuth metal. Calcium metal reacts with phosphorus to produce calcium phosphide. Copper metal reacts with sulfuric acid and water to produce copper sulfate pentahydrate and sulfur dioxide. The combustion of pamoic acid (C23H16O4). A solution of hydrochloric acid reacts with a solid calcium bicarbonate to produce water, carbon dioxide, and calcium chloride. A solution of acetic acid reacts with solid iron (II) hydroxide. hydrofluoric acid reacts with sodium hydroxide. Technetium (Tc) was the first synthetically produced element. Technetium (the word comes from the Greek word for artificial) was first produced by Perries and Serge in 1937 in Berkely, California, by bombarding a molybedenum plate with 2H nuclei. Elemental technetium is produced from ammonium pertechnetate. How many protons, neutrons, and electrons are in the nuclei of 98Tc and 99Tc? What is the formula of ammonium pertechnenate? How many protons, neutrons, and electrons are present in each of the following atoms or ions? The formulas and common names for several substances are given below. Give the systematic names for thses substances. Name each of the following compounds. Where appropriate give both common and systematic names. How many grams of oxygen is required for the combustion of 1 day’s coal? How much carbon dioxide is produced each day? How many grams of water are required to process the CO2 from one day’s electrical production at the Kingston Steam Plant? How much oxygen is produced by this process? How much cellulose is produced? If you assume that a tree weigh’s 2 tons, how many trees are required to process the CO2 produced in one day? How much oxygen is required for a car to run for 1 year? How much CO2 is produced by the car in 1 year? How many trees are required to remove the CO2 produced by the car in 1 year? Modern instrumental techniques are capable of detecting lead in a milliliter sample at picomolar concentration. How many moles of lead are in the sample? What is the mass of lead in this sample? How many grams of sodium chloride would be required to precipitate all the lead in this sample as lead (II) chloride? What would the mass of the lead (II) chloride precipitate be? Titration/acid base problem. 0.4563 g of Mg(OH)2 is weighed out and disolved in 50.00 mL of H2O. This is titrated against a solution of HNO3. The initial volume of the burette is 2.35 ml. The final volume of the burette is 47.98 ml. What can you determine? Acid Base equations and reactions. A base solution is made by disolving 4.987 g of Potassium Hydroxide in 500.0 ml of water. 36.84 ml of this base solution is used to titrate 25.00 ml of sulfuric acid. Write the total, total ionic, and net ionic equations for these reactions. What can you calculate from this information? What are your results? When the following solutions are mixed, does a precipitate form? Write out the total, total ionic, and net ionic equations. Step 1: 0.8765 g of silver (I) nitrate is placed in a 250 mL volumetric flask diluted to the mark with deionized water. Determine the concentration of each ion in solution. Step 2: 1.8793 g of potassium chloride is placed in a 250 mL volumetric flask diluted to the mark with deionized water. Determine the concentration of each ion in solution. Step 3: 50.0 mL of the silver (I) nitrate solution and 50.0 mL of the potassium chloride solution are mixed together in an erlenmyer flask. Determine the mass of any precipitate formed and the concentration of each ion in solution. Write a balanced chemical equation describing this reaction. Determine the limiting reagent for this reaction. Calculate the mass of each product and any remaining reactant. Calculate the amount of heat released by this reaction. If this heat is used to warm a 500 gallon tank of water at 15 C, what is the final temperature? If this heat is used to warm 40 kg of ice at 200 K, what is the final temperature? Based upon the Bohr model of an atom, what would happen for atoms other than Hydrogen? Helium and Lithium for example? Which element could have a ground state valence shell electron in the following orbital. Use electron configuration to explain the following trends in the periodic table. Use data from tables in your book to produce a graph that shows these trends. Draw Lewis structures and determine the electron structure for the following compounds. Select one to draw with the computer. Determine bond angles, molecular structure, formal charge, bond energies, hybridization and draw an orbital diagram for the following. For a mixture prepared by combining 200.0 mL of nitrobenzene and 1.00 L of water. For a mixture prepared by mixing 5.00 g of caffeine (C8H10N4O2) with 250.0 mL of water. The final density of this mixture is 1.05 g mL-1. Calculate the osmotic pressure of this mixture at 25 °C. For a mixture prepared by mixing 10.0 g of sodium sulfate in 250 mL of water. The final density of this mixture is 1.10 g mL-1. The boiling point of this mixture is 78.8 °C. The osmotic pressure of this mixture is 480400 Pa at 25 °C. Determine the average rate for the reaction, between each data point. 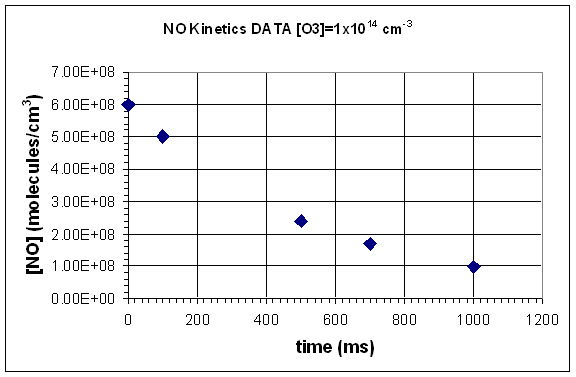 Use your graph to determine the instentaneous reaction rate at 250 ms.
Use the ln vs time graph to determine the rate constant. What is the overall rate law? Convert the units of the rate constant to moles, liters, and seconds. Graph this data as ln(k) vs 1/T. Determine the activation energy and the preexponential factor from the graph. What is the rate constant at 150 K? Which species is a catalyst? Which species is an intermediate? Draw an energy level diagram for this reaction, with and without catalysis. For the catalytic destruction of O3 by Cl Ea = 2.1 kJ, Compare the reaction rate for the uncatalyzed reaction and the Cl catalyzed reaction at 250 K.
Calculate the rate constant for the forward and reverse reactions at 298 K.
the equlibrium constant for this reaction. 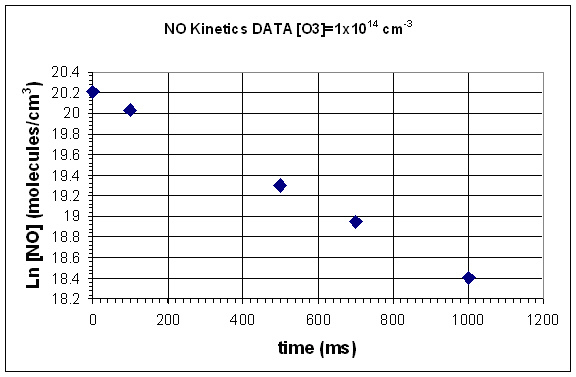 the rate of the forward reaction. At equlibrium, the rate of the forward and reverse reactions are equal. Combine the above expressions as appropriate and solve for the equlibrium constant K.
Based upon the value for K at 298 K, calculate the equlibrium concentration of P when [R]=0.1 M. Calculate the rate of the forward and reverse reactions and predict the direction of the net reaction at these concentrations. The equlibrium for the following chemical reaction is very temperature dependent. Write the equlibrium expression for this reaction. Given the following initial conditions, predict the direction of the reaction. Given the initial, non-equlibrium, conditions. Calculate the equlibrium pressure of NO2 and N2O4. Several years ago, two garbage workers in New York City were exposed to hydrofluoric acid. This acid is usually sold in 500.0 milliliter Teflon bottles (It can not be stored in glass because it will dissolve the bottle!). It has a boiling point of 19.54 °C and a density of 0.991 g cm-3. Hydrofluoric acid causes extremely severe chemical burns and is capable of dissolving bone. Hydrofluoric Acid Safety Video is available from filemedia. The Material Safety Data Sheet for HF is available from J.T.Baker. Write a balanced chemical equation that describes what happens when hydrofluoric acid is added to water. If the entire contents of this bottle is mixed into a 55 gallon barrel of water. What is the equlibrium concentration of HF, H3O1+, F1-, and OH1-? Clearly show your work and identify any assumptions that you make. A solution is prepared by diluting 2.50 g of potassium fluoride to 250.0 mL with deionized water. Calculate the concentration of all the ions present in this solution at equlibrium. Clearly identify any assumptions that you make while solving this problem. A solution is prepared by diluting 2.50 g of potassium chloride to 250.0 mL with deionized water. Calculate the concentration of all the ions present in this solution at equlibrium. Clearly identify any assumptions that you make while solving this problem. A solution is prepared by adding 2.50 g of hydrochloric acid to 250.0 mL with deionized water. Calculate the concentration of all the ions present in this solution at equlibrium. Clearly identify any assumptions that you make while solving this problem. Titration Video (© Saunders 1997). 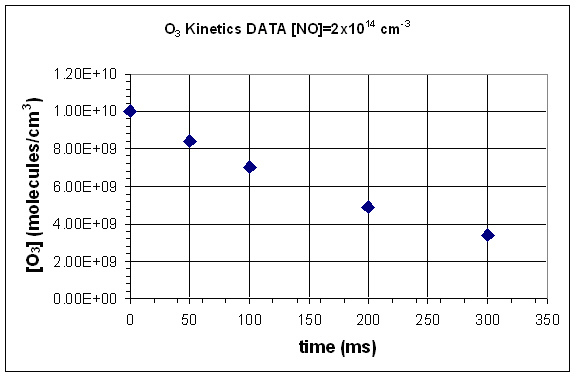 A sodium hydroxide solution of unknown concentration is titrated against 0.8765 g KHPh (Potassium acid phalate, a monoprotic acid, MW 204.3 g/mol). 48.6 mL of the sodium hydroxide solution is required to reach the endpoint of the titration. What is the concentration of the unknown sodium hydroxide solution. This sodium hydroxide solution is then used to titrate an unknown nitric acid sample. 25.0 mL of the nitric acid solution is titrated. 32.8 mL of the sodium hydroxide solution is required to reach the endpoint. What is the concentration of the nitric acid solution? Calculate the pH at the following points in the titration of the unknown nitric acid sample. 0 mL of sodium hydroxide solution added. 1 mL of sodium hydroxide solution added. 5 mL of sodium hydroxide solution added. 10 mL of sodium hydroxide solution added. 20 mL of sodium hydroxide solution added. 30 mL of sodium hydroxide solution added. 32.8 mL of sodium hydroxide solution added. 35 mL of sodium hydroxide solution added. 40 mL of sodium hydroxide solution added. 50 mL of sodium hydroxide solution added. Describe (in words) what happens. Write a chemical equation that describes what happens. What is the proton donor? Why? After this solution has reached equlibrium: What species are present? What is their concentration? What is the pH and pOH? Benzoic Acid (C6H5COOH) is a solid. 15.000 grams is dissolved in distilled water and diluted to 200.00 mL. Sodium benzoate (NaC6H5COO) is a solid. Used as a preservative in most pop (or back east you call it soda). 10.000 grams is dissolved in distilled water and diluted to 100.00 mL. Sodium Hydroxide is a solid. 5.0000 grams is dissolved in 50.0 mL of distilled water. The benzoic acid solution and the sodium benzoate solution are mixed together in a large flask. 1.00 mL of the sodium hydroxide solution is added to the buffer. 10.00 mL of the sodium hydroxide solution is added to the buffer. 25.00 mL of the sodium hydroxide solution is added to the buffer. Calculate the molar solubility and Ksp for each of the following. Use the Ksp values calculated above to determine the mass of each that will dissolve in 2.0 L of deionized water. Use the Ksp values calculated above to determine. The mass of BaSO4 that will dissolve in 500 mL of 0.10 M sodium sulfate. The mass of BaF2 that will dissolve in 250 mL of 0.10 M potassium fluoride. The mass of AgCl that will dissolve in 5.0 L of 10-4 M lithium chloride. The mass of CaF2 that will dissolve in 5000.0 L of 0.10 M potassium fluoride. 50.0 mL of 0.10 M barium acetate is mixed with 100.0 mL of 0.10 M sodium sulfate. 100.0 mL of 0.15 M barium chlorate is mixed with 250.0 mL of 0.10 M potassium fluoride. 75.0 mL of 0.015 M silver nitrate is mixed with 1.0 L of 10-4 M lithium chloride. 100 L of 0.50 M calcium chloride is mixed with 5000.0 L of 0.10 M potassium fluoride. Use the Ksp values calculated in the previious problem set to determine. 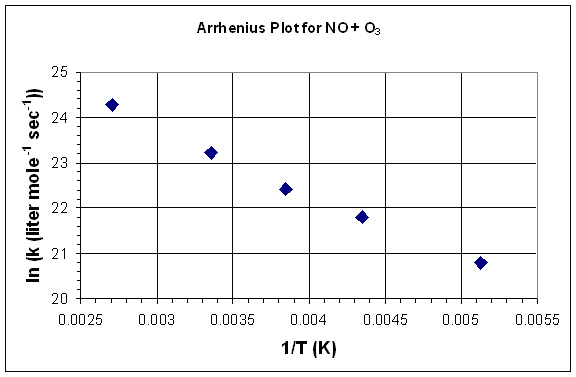 Assign oxidation numbers to each element in the reactants and in the products. Identify what is being oxidized and what is being reduced. Balance the following redox reactions using both the half reaction and the oxidation number methods. In an acidic solution, potassium dichromate reacts with ethyl alcohol to produce aqueous chromium (III) ions, carbon dioxide and water. In a basic solution solid silver reacts with aqueous cyanide and oxygen gas to produce silver (I) cyanide. Solid aluminum reacts with solid iodine to produce solid aluminum iodide. Solid zinc metal reacts with aqueous hydrochloric acid to produce aqueous zinc (II) ions and hydrogen gas. Aqueous arsenous acid reacts with solid zinc metal to produce gaseous arsenic (III) hydride and aqueous zinc (II) ions. Iron (III) oxide reacts with oxalic acid to produce aqueous iron (III) trioxalate ions. Aqueous silver nitrate reacts with solid copper metal to produce solid silver and aqueous copper nitrate. Calculate the cell potential and free energy available for the following electrochemical systems. If the electrochemical cell discussed is used as a battery and begins with 10.0 g electrodes (silver and copper), and 250 mL of each 1.0 M solution. Identify the limiting reagent in the reaction. Calculate the number of moles of electrons exchanged when the reaction goes to completion. Batteries are frequently made using solid electrodes. What advantage might this provide? What is missing in the cell as it is drawn here? What effect does this have on the rusting of a tin can? After the cell is complete, what is Eocell. Which side of the can is the anode, and which is the cathode. Write out all the relevant half reactions for this system. In real life, the concentrations are not likely to be the same as under standard conditions. If it is a hot summer day (98 °F), and the [Fe2+] in contact with the cell is 1.35*10-5 M, and the [Sn2+] is 8.41*10-3 M, what is the cell potential. On space craft, a H2, O2 fuel cell is used to produce electricity. What is the reaction at the anode? What is the reaction at the cathode? What is the balanced redox reaction? What is Ecell assuming Po2 = 2*atm, and PH2 = 2*atm. 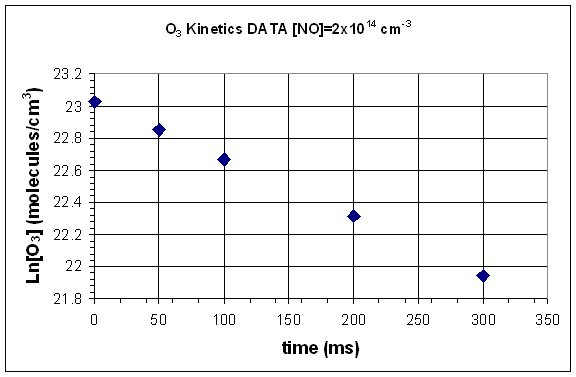 If two cylinders of H2 and 1 cylinder of O2 (cylinder: volume=200 liter, pressure = 3000 psi) are used. How many moles of electons can be produced? How much energy (joules) is this? If this energy has to last for 1 week, what is the average power (watts) available? Compare the amount of energy produced by this fuel cell to the energy produced by the combustion of the same amount of H2 and O2 using Hrxn. Electrochemical Analysis techniques are capable of detecting very small amounts of certain metals. In one type of analysis Cd2+ undergoes electrolysis. In this experiment it is possible to detect a signal from 1 pA of current, lasting only 1 ms.
How many moles of Cd2+ does this correspond to? How many atoms is this? as I website possessor I believe the subject material here is really good , thanks for your efforts. soal IPA dasar sama Matemtika Dasar versi bahasa inggris y pak! !